Light, easy to carry store of Grab-N-Go meals. Flexible, convenient and ready at a moment’s notice. The name says it all. The name says it all. 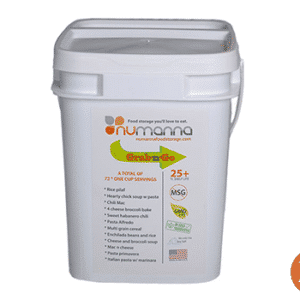 This bucket contains 10 pouches that provide 80 servings of high quality food. It is light, and easy to carry or store. Here at NuManna, you don’t overpay and get oatmeal and sugary drink mixes. The Grab –n- Go is a perfect example. You get 70 Servings of gourmet lunches and dinners and only 10 Servings of Breakfast. This is the lowest ratio of breakfast in the industry. You get what you pay for. 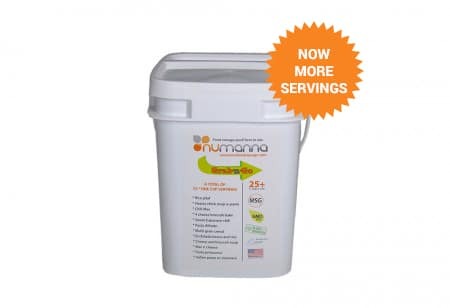 And with NuManna you simply get the best you can buy.